Our music academy opened its doors in 2008, implementing Suzuki violin. CPJMA is best known for its rigorous academics, increased attendance, bridging the language and cultural gaps, and a music program that has cultivated students who appreciate the visual and performing arts. Our motto is, “Music Opens Minds.” Following that focus we integrate our curriculum with music, for even math and science have musical connections. Music is also taught as its own discipline. Our Suzuki violin instruction, a proven method used worldwide based on the theory that younger children learn languages easily, including the language of music, helps children with their intellectual development as well as musical skill. Friends of CPJMA is launching a tax-deductible Direct Donation Drive starting September 19th through the end of the school year to raise the necessary funds to support the many wonderful programs at our school. Our goal is to raise $10,000. 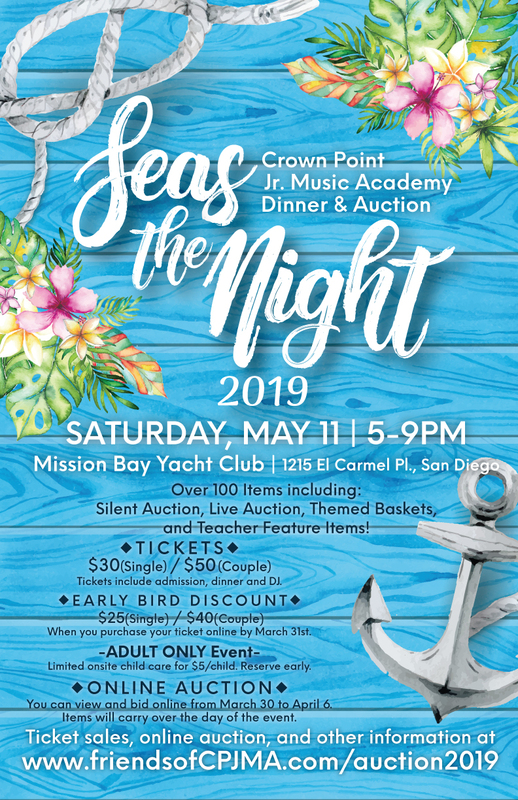 As a family member or friend of a CPJMA student, we would like your help to support the Crown Point Jr. Music Academy student you love. Every dollar raised will provide for specific PTO programs and events that enrich the lives of our CPJMA students all year long. The more funds we raise, the more support we can provide to the students. We appreciate your ongoing support to our wonderful school! If each of CPJMA students donated $32 will hit our goal! Do you have Employer Matching Benefits? Many companies match their employee’s charitable contributions. Please check and let us know! 100% of your donation to our Direct Donation Drive is tax deductible! When you click the submit button, the page will jump to PayPal to continue the payment process. (PayPal account is NOT required.) Thank you so much for your support!